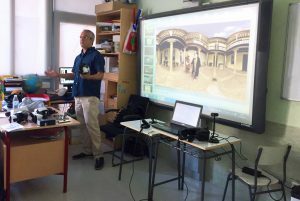 Invited by the professors went to school loaded with virtual reality goggles to share with the children the experience of virtual reality that we have created together with RTVE and the Ministry of culture, "Cervantes VR". 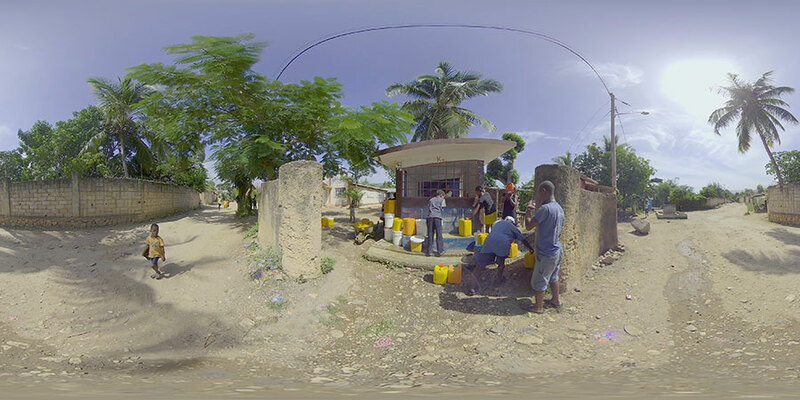 After a brief chat about the history of this technology and applications that virtual reality has in our society, we turn to the most desired time for all children, travel the golden age and visit the birthplace of Don Miguel thanks to reality virtual. 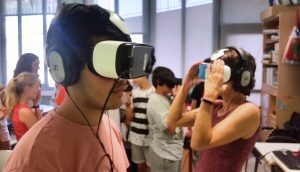 Surprised faces, laughter, cries and raised hands asking the following confirmed us once again the infinite possibilities of the virtual reality in the field of education. 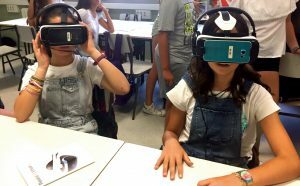 "Cervantes VR" made them travel to the Spain of the 17TH century, the students are teleported from his desk until the battle of Lepanto, visited the birthplace of Don Miguel in Alcala de Henares, the prison of Algiers and the windmills of Campo de Criptana. The origins of the modern novel or the corrales de comedias Theatre, they met hand of Don Quixote and Sancho. Being in that class surrounded by children, loaded with illusion and desire to learn made us relive our childhood. Some of us remember the slides that those great masters explained the cathedrals or the composition of the atom. To this day, it is possible to go further and get the student to discover firsthand the origins of Gothic art or play with her hands manipulating the electrons and protons. 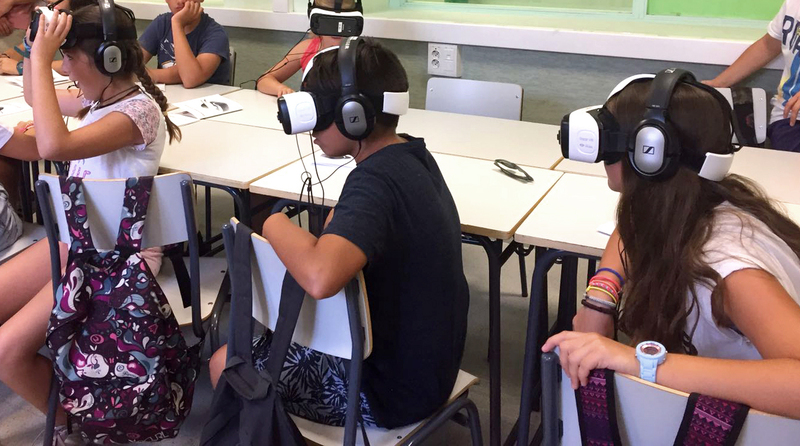 Thanks to virtual reality, teachers and parents have a new tool for the education of our children. A technology that allows travel to remote times, manipulate objects or discover inside the cell through immersion, interactivity and the game. Worldwide experiences and projects are being conducted to bring this technology to the classroom, take advantage of their potential and eliminate barriers. Projects like Google Expeditions or Oculus Education Pilot are allowing that any student can discover a new world through virtual reality. Paraphrasing the African proverb "To educate a child the whole tribe is required" could say "the tribe already has a new and magical tool to educate the children, take advantage of it".